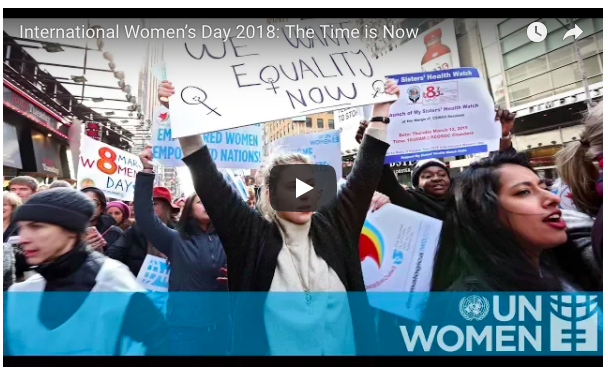 As international Women’s Day approached this month, I found myself reflecting on how 2017 was quite the year for regular media announcements about women’s rights and women’s equality or the lack of it. What has seemed different though is the strength of the female voice that has arisen recently. We have had social media for a while now so what has changed, I wonder. Did we reach a tipping point? Was it that so many women spoke out, that they were heard by enough others that even those who had until then been quiet, ended up speaking out, too? and little real change will occur until societies norms change. Norms arise from what we believe and all over the world women have been in second place and their fundamental rights ignored for centuries. Even when we think we have become enlightened we find out that we have not moved on that much. Deep underneath, our unconscious beliefs govern our behavior and it is not until these patterns clear and positive uplifting ones are put in place of the old ones, that we have a chance of transforming our norms. No matter how much we might protest, what governs what comes into our lives are our unconscious beliefs. Those beliefs that we are unaware of …. the ones we have and are not aware we live by, the ones that are there deep down from previous generations of women who felt powerless to challenge the status quo and whose physical survival depended on the men in their lives. The ones from earlier generations, from our mother’s and our father’s family lines. So when international women’s day came around on the 8th March this year, and in view of all the unrest I’d witnessed, I found myself taking the only kind of action that I knew could make a difference to the plight of women around the world. I chose to do a Resonance Repatterning session. In Resonance Repatterning, of the many processes we have for change or transforming negative patterns, we have one called “Intention for a New possibility”. This is an exercise for setting what you want to happen in the short, medium or long term ….. in your life, your work, your relationships, in all areas. Because we are all connected no matter how near or how far, we can use one person as a proxy for everyone else. In Resonance Repatterning, we first identify all aspects of the change we want to make, and then we find the healing modality that will enable the shift to occur and later check how the resonance has changed. Because we are all connected, we also have the potential to connect with each other and feel any change that occurs. At the start of the session, we were not resonating with this intention; at the end of the session, after identifying all of the different aspects and after doing the modality for change, we were resonating with closing the gender gap in pay around the world and everyone receiving equal pay for equal work regardless of gender, age, race or anything else. Beautiful! You can listen to a recording of the session and also get a pdf document of the same by going to this write up at the World Peace Hologram website. Here I want to write more about the healing modality that came up for the session. Through muscle testing we identified that the Hatha Yoga Lion Pose was needed, and at the end of the session it also came up as a positive action. When a post session positive action comes up, it does so to embed the energy shift that has already taken place. In this case though what was most unusual was that it came up to repeat this every day until the end of the month – another twenty three days. My thought about this was that the shift that was needed around the world through the many different cultural beliefs and norms was so enormous, that the energy needed to keep being amplified, one person at a time, all around the globe until we were all connected. Can you imagine all of us connecting in this way …. one highly visible easy to do pose? It’s as if we have been given a gift to exercise our ability to take part in world wide change. Imagine if we all believed that quantum change were possible, perfectly easy and instantaneously possible. I am smiling at the thought of all the Lions and all the Lionesses around the world sticking out their tongues, old and young, big and small, all glaring at each other, claws out, paws pointing, roaring and releasing all the anger and frustration of the centuries …. and then letting go of and allowing relaxation to take over ….. each muscle letting go, and a wave of relaxation starting from around the eyes and cheek bones, moving to the jaw, throat and neck and all the way through the shoulders, arms, hand and fingers …. ending with hands now relaxed and calmly resting on your knees, happy to be still and in a comfortable place. What image comes into your mind when you see this intention being realised …. We close the gender gap in pay around the world. Everyone receives equal pay for equal work regardless of gender, age, race or anything else!!! We know that thoughts, images, ideas and intentions create our reality. Think and therefore it is. Thank you for changing reality!